Only a very small fraction of what is said about a brand comes from the brand itself. The rest comes via word of mouth from customers, prospects and the world at large—i.e., anyone who has ever interacted with one of the brand’s many touchpoints. If you haven’t conducted an analysis of your brand touchpoints, don’t wait. Your touchpoints are all the ways that your brand interacts with the outside world. Each one of these interactions is a chance to reinforce your brand promise—or take away from it. Many organizations use a simple visual tool called the “brand touchpoint wheel” to identify and prioritize opportunities to make an impression. It includes every stage of the sales relationship cycle, from awareness and understanding to retention and loyalty. 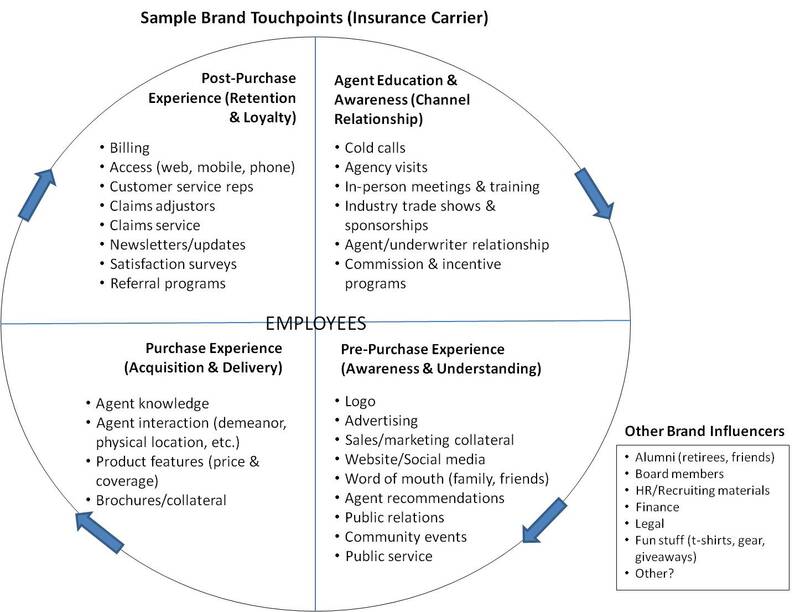 Below is an example of a touchpoint wheel for an insurance carrier. It illustrates the ways that the carrier interacts with employees, agents, policyholders, prospects, competitors, the general public and more. Start by identifying your organization’s most obvious touchpoints and map them to the wheel. Employees should be at the center because they are your brand. Better yet, get them involved in building out the wheel. You’ll not only get a more accurate picture of your brand but you’ll also gain valuable buy-in at every level of the organization. Include implicit touchpoints, i.e., touchpoints in the “other” category that aren’t actively managed yet have an impact on how your brand is perceived. Also make note of touchpoints that don’t currently exist but which you are likely to implement in the near future. Rank touchpoints according to their ability to bring your organization closer to its desired brand goals. Questions to ask might include “Does it reinforce our promise to customers?” Or, “Can we use it to differentiate ourselves from our competitors?” A system that identifies low, medium and high priority touchpoints will also help as you allocate resources. Determine which functional area and/or individual owns (or should own) each brand touchpoint. Then, develop an action plan that outlines expectations for managing those that they control. Brand touchpoint activities must be incorporated into employee evaluation standards to be effective. At the same time, designate a brand “champion” with the responsibility and influence to ensure that functional groups deliver against their individual plans. 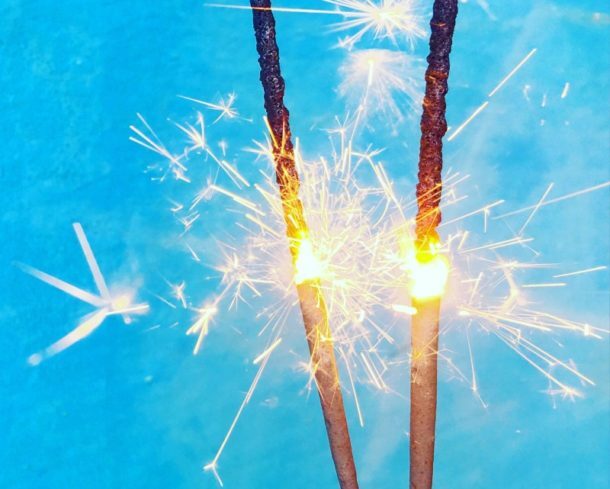 Without a brand champion, it is unlikely that much will get done. 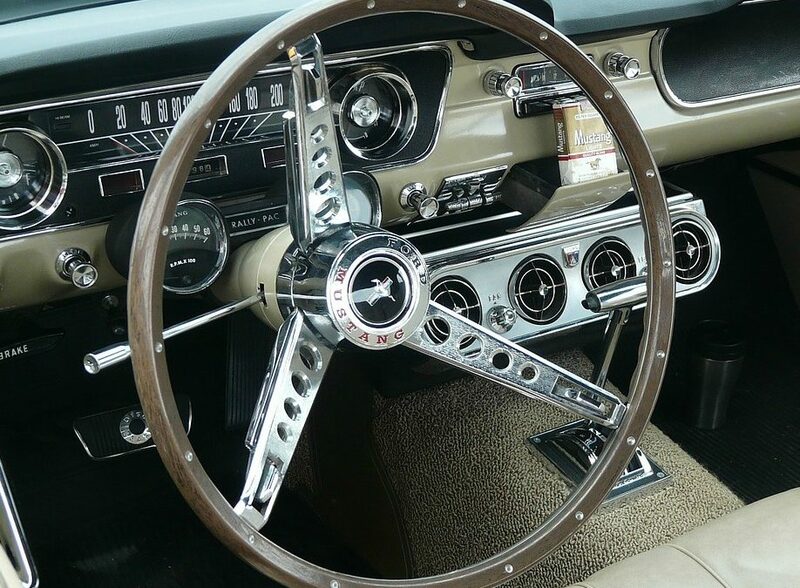 If the wheel metaphor doesn’t work for you, don’t worry. There will always be touchpoints that fit into multiple categories, and others that don’t fit on the wheel at all (those in the “other” category, for example). The point is this: Your brand’s touchpoints need to be identified before they can be prioritized, assigned and, ultimately, measured.